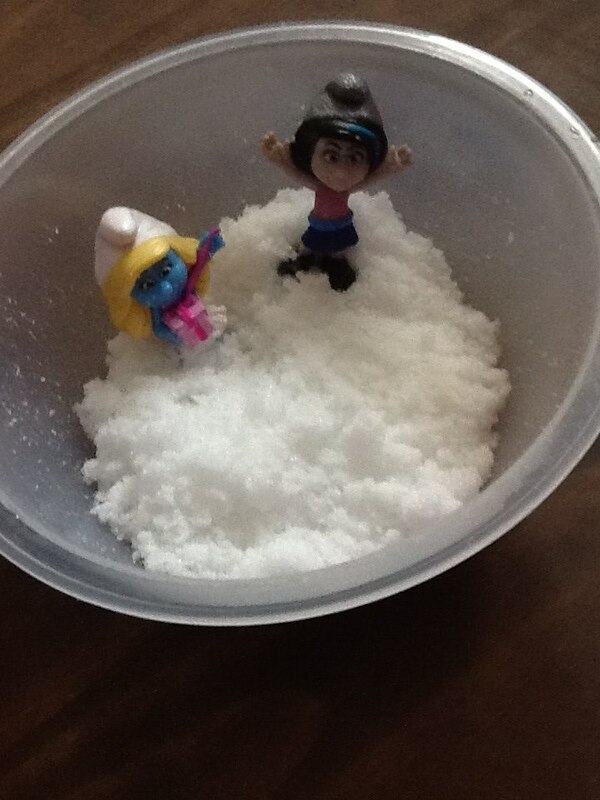 Trials & Tribulations Of A Brummie Mummy: Sensory Play With Magic Snow. 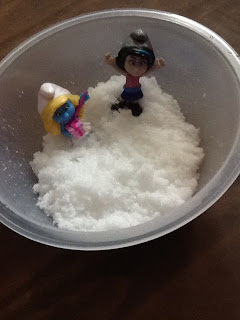 Sensory Play With Magic Snow. Lexie hates getting her hands messy, a tiny bit of glue or paint and she has to go and wash it off. I've been trying to build her sensory play up a bit at a time. She is always eager to try something new but sometimes is put of with the look of things. 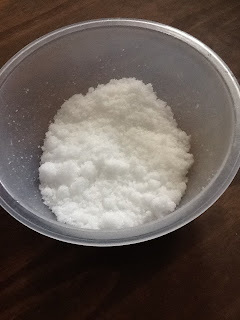 I picked up some magic snow on ebay for £1.90 with postage. It comes in a little plastic tube and you pop it in to a bowl and just add water a bit at a time. You can see it expanding in front if your eyes, hence the name " magic snow" Its so soft, feels and looks like real snow without the coldness and melting. Lexie was pretty curious about the magic snow and the smurfs got in too. 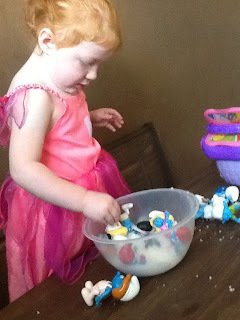 She was happy to play in the magic snow and its a simple and different play environment. You can also leave the snow to dry back out and it goes back to powder form ready to use again.